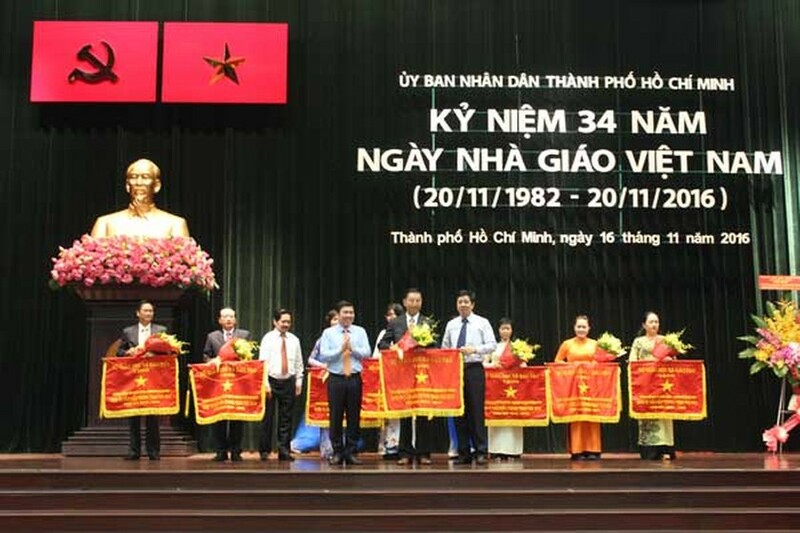 A ceremony honoring teachers was held in Ho Chi Minh City on November 16 on the occasion of the 34th anniversary of Vietnam Teacher's Day (November 20). Attending in the event were Chairman of the People’s Committee of Ho Chi Minh City Nguyen Thanh Phong, Deputy Secretary of the Ho Chi Minh city Party Committee Vo Thi Dung, Head of the Department of Propaganda and Training of the HCMC Party Committee Than Thi Thu and Deputy chairwoman of the municipal People’s Committee Nguyen thi Thu. Le Hong Son, director of the Department of Education and Training, reviewed the tradition of the sector and outstanding achievements as well as contribution of generations of teachers to the education and training sector, adding that the city’s government will continue to implement breakthrough solutions, strategic plans and projects to boost the sector including building advanced modern schools. On this occasion, Chairman Nguyen Thanh Phong praised and congratulated nearly 100,000 teachers and teaching staffs of schools in the city. He asked the Department of Education and Training to focus on completing the project on the development of the city’s education and training sector from now until 2030. 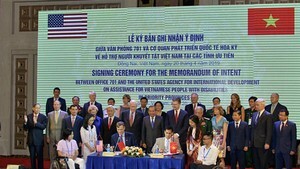 The People’s Committee of Ho Chi Minh City offered certificates of merit and medals to 151 units, 8 groups and 151 individuals who have outstanding contribution to the city’s education and training sector.